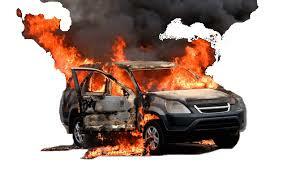 My Car caught fire, and my Fire Extinguisher Failed…. how do prevent future occurrences. ? The following is an abridged conversation among engineers after one of us reported a fire incidence as a result of an electronic spark in his car. The lead discussant was Engr Martin Agbili aka Agility who is a Fire Officer in Anambra state. Others are Engr Omali and one Wizard of Kalamakato. “This morning at about 1145 hrs, one of my neighbours called me that there is fire outbreak in his compound. I alerted our Fire Service Station closer to them. I drove out from the Church Service to join our firefighters at the fire scene. It was a Sunday” Engr Agbili said. “When we got there, it was a car that got burnt in the compound. It was a very painful loss. But no life was lost.” he Continued. He noted that the neighbours were quick to respond to the distress call before the arrival of firemen. Thank God also that some part of the car was saved and that it didn’t spread to the closer building in that compound. “Please always keep your fire extinguisher the car and make sure that the fire extinguisher is functional. You should also ensure you know how to use it just in case you are the only one around during an incidence. The Fire extinguisher should not be placed inside the boot of your car. It should be hanged behind the driver’s door or put under the driver’s seat.” Engr Agbili counselled. Again, make sure that you call Fire Service Station number closer to you at any fire incident in time not on time. He concluded. There three (3) basic emergency numbers you need to store on your mobile phones whether you need them or not. But one thing is clear; you or your neighbour may need it someday. “It was like a film, it still baffles me how and why the fire was extinguished at first with fire extinguisher and four minutes later, the fire started again, the extinguisher that was 80% full could not work again??? Why why why…??? That was the moment the fire escalated and spread to other part of the car. Even when a neighbour brought his new extinguisher, the whole content was emptied on the fire without positive result. For fear that the raging fire might get to the fuel tank and worsen, and in order to prevent the fire from getting to the buildings, we had to call the fire service. “I am Still trying to unravel the puzzle why will an extinguisher that was used four minutes ago ceases to function?? ?” He wondered. “In the first place, the cause of the fire incident was an electrical fault which emanated from the fuse box. “There are different types of fire extinguishers like DCP, CO2, FOAM, WATER GAS etc, but the one recommended for cars is DCP (Dry Chemical Powder) extinguisher type like 1kg. But bigger vehicles can carry 2kg, 6kg or 9kg depending on the size of the vehicle. “The advantage of DCP is that it is less expensive than other types. Its disadvantage is that, once applied to a fire incident, it will not be functional again. That was why, when you tried to use it again, it could work of function again. “You may recall that after applying or discharging the fire extinguishers, there are still smoke (light or thick), it can cause it to re-ignite. Another commentator, Engr Omali added “When the fire is not completely extinguished, it can re-ignite under this condition. “In that case it’s always risky to use DCP and the masses have to be educated about this inherent shortcoming; Although all fire extinguishers should be refilled / replaced after use, dry chemical powder fire extinguishers lose pressure quickly even if only active for a fraction of a second. This is due to the powder getting stuck in the valve and allowing the pressure to leak. . The attention of the Federal Road Safety can be drawn to this and they can mandate motorists to carry more than one DCP extinguisher. “Well, I will not go into details of the content of the fire extinguisher but you can know from the above picture at least when yours is still functional. Fire Extinguishers are mechanically fabricated. “If you look at the pix, you will see that part that resembles a clock. It is called the pressurized gauge. It has clockwise and anti-clockwise direction. “You can also see a GREEN PORTION and a YELLOW POINTER. “Please, the yellow pointer must always be at the green portion. If for any reason the yellow point moves anti-clockwise, then the fire extinguisher is no longer functional and that is where the officers of road safety is interested in checking during inspection and you would be fined if found to be negligent. Service your fire extinguisher at least every six month even when you did not use it. This is because sometimes the yellow pointer will remain at the green portion but it will no longer be functional. This is because the gas inside the cylinder has expired. Therefore if you apply it during any fire incident, it will not work.” He concluded. This article is very well written and very insightful.its a "must read" for every driver.All Thanks to Agbili martins and crew.